I loved the item, it was just too large for a 80 year old grandma. I should have kept the purse for myself, but I had my eye on another item. Carry this shoulder bag on a weekend outing/ regular office or casual day out with friends and it is sure to fetch you compliments each time. With its galvanised, rust proof hardware and soft,comfortable handle, it is sure to be your favourite accessory, now and forever. 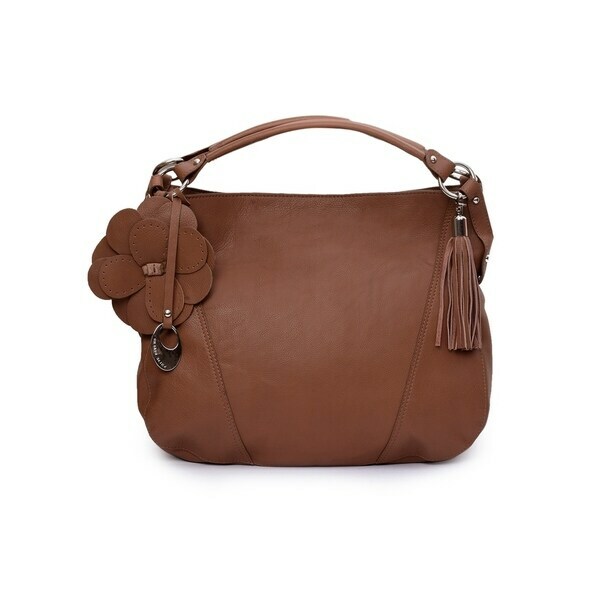 The bag is spacious, easy to carry and comes with a branded lining. DISCLAMER-This natural leather product has been especially handcrafted for you by five of our skilled artisans. Variations within the texture of the leather surface is a proof of its authenticity and a very important characteristic of pure, luxurious, genuine leather. These variations add beauty and individuality to your natural leather product as it ages with sophistication and glamour. Hence, these variations should not be considered as defect.Do not wash or dry clean. story behind the art: our creations are untouched by machine, and crafted by men. each one of our five artisans is allowed to give his full attention to the minutest element. from the texture and grain, to the size and width, no part of our material is left without scrutiny. genuine leather is clipped with unwavering precision a thousand times over till the perfect cut is realized. every piece is man crafted by hand, in our own distinct style, with a delicate finesse that moulds separate pieces of our exquisite natural leather together as one, giving that unique look. setting leather trends has been our creed and it's a belief that reflects in all our distinct designs. we bring you the best in fashion every month, with moods, trends and silhouettes inspired from the fashion ramps in milan, Paris, berlin, London, new york and Tokyo. Dimensions 16.0 In. X 13.0 In. X 5.0 In.